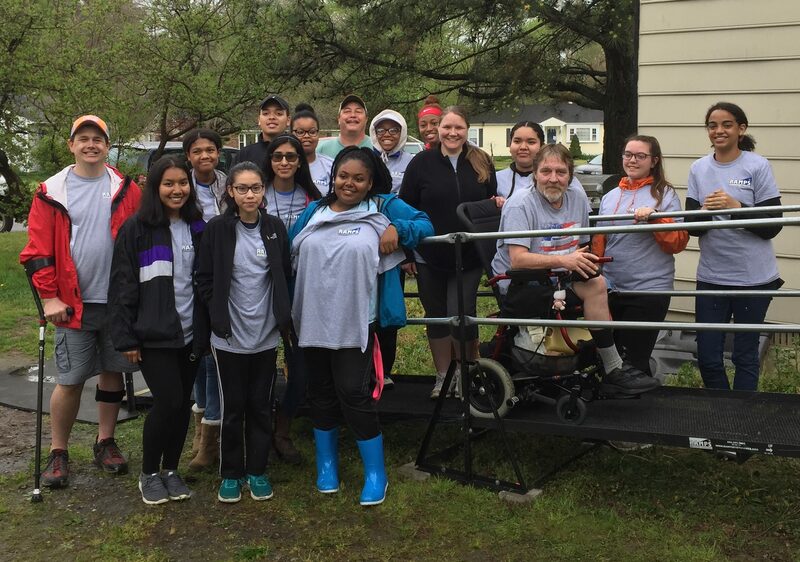 Location Chesterfield, VA Builders Joneisha Butler Leigh-Ashley Pettiway Selena Alejo-Arellano Luz Alejo-Arellano Keidy Lizama Kaitlyn Ryan Fadzayi Sambana Tevi Khmao Julia Alexander Jaden Watkins Keryssa Ward Sean Villedrouin Story Michael experienced an amputation recently. Because he lives alone, his new ramp will make getting outside much safer for him. His dedicated family checks on him frequently, and thanked all the students for their hard work. We are thankful for the amazing support from LC Bird High School, with Mrs. Blanton, Mr. Waller, and Mrs. Green all coming by to support their students’ efforts. Jill Miller kept us all focused and helped with the lines of communication, which we appreciate. Additional thanks to Jay Swedenborg and Robert Swiger for their active involvement in this build, and as always, thanks to Jess Harris for her leadership – we could not have asked for a more cohesive team! 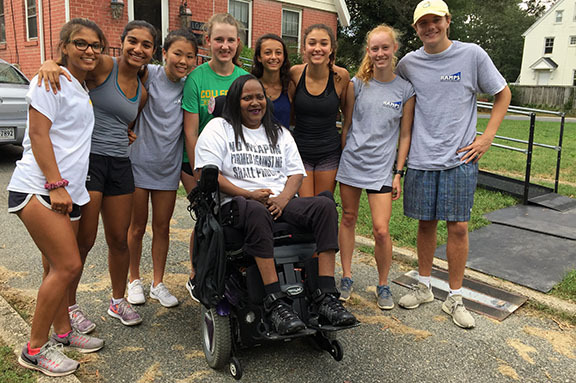 Linell was paralyzed almost 15 years ago. Access has always been a challenge at this home. 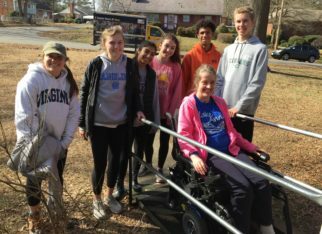 Friends and family were able to construct a ramp of both metal and wood, which enabled her to get out in her power chair to doctor appointments, though it was not safe (no rails and too steep). Her new ramp, courtesy of our Collegiate School RAMPS Club, is safe and will allow her to get outside on her own now, a prospect which she found overwhelming on her first trip down the ramp. 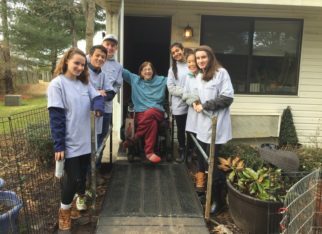 Our mission is to help the less fortunate by paying for and assembling modular wheelchair ramps for those people who are in need and have qualified for financial assistance.